Yes! It's a treble header today, as I promote works by not one, not two, but THREE of my contemporaries, by way of making up for my meagre contribution to their deserved successes thus far. Ready? GO! Jamie (if I may call him that - actually, I'm going to anyway, so it doesn't matter) has been gaining quite some momentum as a horror, fantasy and speculative fiction writer of late, so I'm sure a short post on a blog nobody reads will be just the kick he needs to shoot into the literary stratosphere! 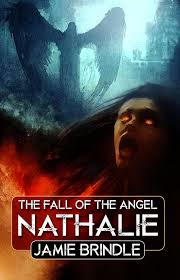 His most currently hyped product is "The Fall Of The Angel Nathalie", available NOW! through Bedlam, an imprint of Necro Press. It's a ripping yarn about the war between heaven and hell, whilst people howl and people moan and look for a dry place to call their own... Ahem. Jamie will love that reference however as he is the biggest fan of the excellent band the Meat Puppets that I know. But that's just the tip of the iceberg: there's plenty of Jamie about - check out "The Bound Book" and more recently "Theft on New Year's Eve" and the headline-grabbing interspecies homosexual love story "Modern Serpents Talk Things Through". If that doesn't pique your interest, you can ruddy well go away. Ben (if I can call... Hang on, I've already done this bit) is the keeper of a keen and irreverent wit, showcased across many strands of media, as is the modern trend. At Talk About The Passion (http://tatp.org/) you can find podcasts and writing featuring Ben and pals, including one Mr. G.F. Hirons, talking popular culture before blasting off on surreal and hilarious asides; look wider and you'll find a pantheon of material, including many collaborations with Tim Worthington such as "A Question Of Bins" and "Cult Bin Corner", which were available on YouTube at the time of writing. 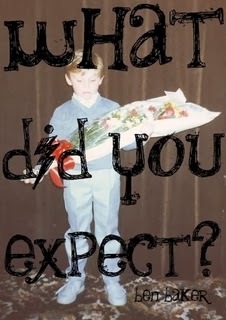 "What Did You Expect?" is his first book, bringing forth a collection of original comedy, articles on such cultural warhorses as "Doctor Who" and "Rocko's Modern Life", scripts from his favourite podcast sketches and, most excitingly of all, "a special foreword by Mashingtons Mash PLC's advertising spokesman, chart topper and theatrical impresario, Sir Alan Potato". Lawks-a-lordy: it's a must! Buy it from his store of a thousand delights at: http://www.lulu.com/spotlight/benbakerpresents. And remember: without Ben's drive and passion, you wouldn't have G.F. Hirons, Published Writer - partly because he published me in an actual magazine made of paper and staples, but mostly because without the inspiration of Ben and the gentleman we're about to discuss showing me what can be done with a blog and the writing bug, I'd have shot the whole writing venture in the head by now. Tim (I'll skip this bit this time) is a bloke I know from the pub. He's also written reams of reviews, opinion pieces and untold stories about music, television, radio and cinema in between high-profile spats with "celebrities" and "Alan". Never less than incendiary, never short of a quip and ever eloquent of argument, he also has a whole load of books out so I've picked the one with the cover I liked the best. 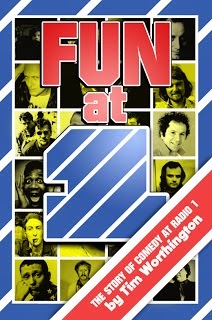 "Fun At One" is a history of comedy on Radio 1 - that's BBC Radio 1, for our overseas readers (if any) - if you can remember such a thing, from Kenny Everett to Chris Morris and all things in between. So buy a copy, and keep him in Citrus Spring and Sizzlin' Bacon Monster Munch... Damn. I just made myself hungry. To the cupboard!